The Centers for Disease Control and Prevention (CDC) reported this week that the 2017-2018 flu season set record numbers for flu-related deaths, with 80,000 people in the United States dying because of the flu. With over 900,000 in the hospital due to the flu, the CDC marked this past flu season as one of the worst in decades. Prior to last flu season -- which ran from October 1, 2017 - May 19, 2018 -- the CDC estimated that an average of 12,000 to 65,000 people die from the flu per year and between 250,000 and 700,000 people end up in the hospital. The numbers vary each year depending on how bad the flu season is. 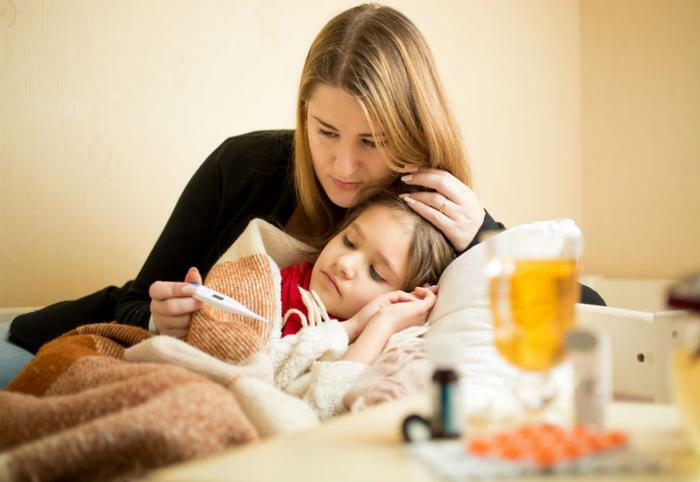 While less than fifty percent of people in the United States received the flu shot, the number of children under five -- who present the greatest risk for flu complications -- who got the flu vaccine went down this past year. Additionally, the CDC reported nearly 60 percent of kids under 17 weren’t vaccinated during the last flu season. “One hundred and eighty families put a child in the grave last year because of a vaccine-preventable infection,” Dr. Swanson added. Though the vaccine is updated every year to ensure protection against the most recent strains of the flu, the CDC reported that the vaccine was 40 percent effective -- meaning it reduced a person’s chance of needing to go to the doctor for flu-related symptoms by 40 percent. The CDC encourages everyone to get vaccinated, as the agency touts the vaccine as the best way to prevent the flu and the accompanying complications that can arise. According to the CDC, as of the last week of February, manufacturers reported having shipped 155.3 million does of the flu vaccine, which was a record number. Experts note that the vaccine is particularly important for young children, pregnant women, and adults over 65. As early as a few weeks ago, the CDC was warning people of the upcoming flu season. The CDC was encouraging people to get vaccinated as early as possible, mainly considering the intensity of this most recent flu season. This year’s flu vaccine has been improved to “better match circulating viruses,” and will be matched to four strains this year -- including H3N2, the dominant strain last year. FluMist -- a nasal spray -- is an alternative to the flu vaccine for those over two years old and under 49 years old. However, the American Academy of Pediatrics recommends that all eligible children receive the vaccine over the nasal spray.